Refurbished Deals at Adorama: D850 for $2,797, D810 for $1,899, D750 for $1,089, D610 for $899, D7500 for $749 and More ! 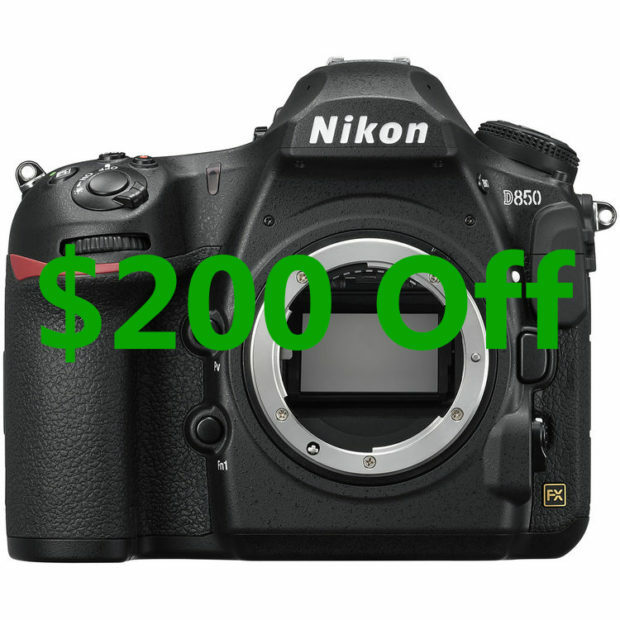 Author adminPosted on February 16, 2019 Categories Nikon COOLPIX Cameras, Nikon D5, Nikon D5600, Nikon D610, Nikon D750, Nikon D7500, Nikon D810, Nikon D850 Deals & Cheapest Price, Nikon DealsTags Refurbished DealsLeave a comment on Refurbished Deals at Adorama: D850 for $2,797, D810 for $1,899, D750 for $1,089, D610 for $899, D7500 for $749 and More ! Along with NIKKOR Z 24-70mm f/2.8 S lens, Nikon today announced more details of firmware in development for the Z6, Z7, D5, D850 and D500. 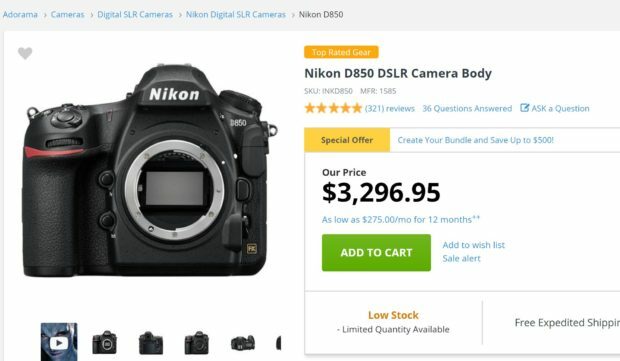 $200 Price Drop on Nikon D850 Coming this Weekend ! 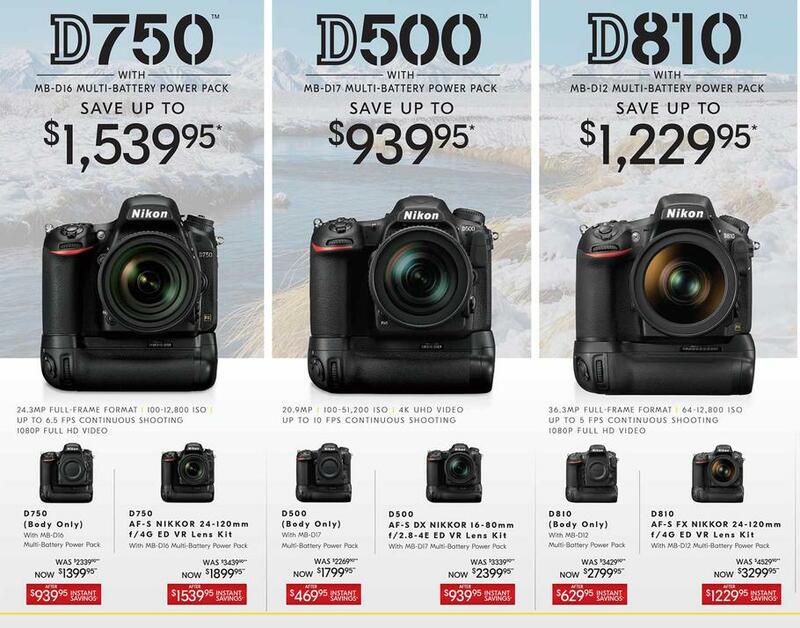 First $200 price drop on the best selling Nikon D850 DSLR camera will coming in next several days, according to NR. And you will also get some offers/sales on the new Nikon Z6 & Z7 full frame mirrorless cameras. Author adminPosted on January 22, 2019 January 22, 2019 Categories Nikon D850 Deals & Cheapest Price, Nikon Deals, Nikon Full Frame Mirrorless Camera, Nikon Z6 Deals & Cheapest Price, Nikon Z7 Deals & Cheapest PriceTags Price, Price DropLeave a comment on $200 Price Drop on Nikon D850 Coming this Weekend ! dpreview has just posted the interview with Nikon executives at Photokina 2018 in September. They talked about Nikon’s first full frame mirrorless cameras Nikon Z6 and Nikon Z7, and D850, and end of Nikon 1 system. Nikon excutives believe that Nikon Z mount mirrorless system can achieve the number one position in the world’s full frame mirrorless camera market. Nikon D850 now In Stock at Amazon ! Nikon D850 now back in stock at Amazon US. Also Adorama and B&H Photo Video will shipping D850 in next several days. 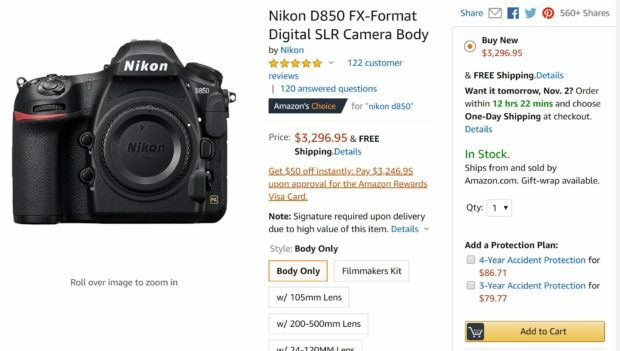 Author adminPosted on November 1, 2018 Categories Nikon D850 Deals & Cheapest PriceTags In Stock, Nikon D850 In Stock / Availability TrackerLeave a comment on Nikon D850 now In Stock at Amazon ! Nikon D850 now In Stock at Adorama ! The new Nikon D850 DSLR camera now in stock at Adorama with limited quantity available, order ASAP before sold out again. Also Amazon and B&H Photo Video are expected to have D850 in stock on November 1st, 2018. 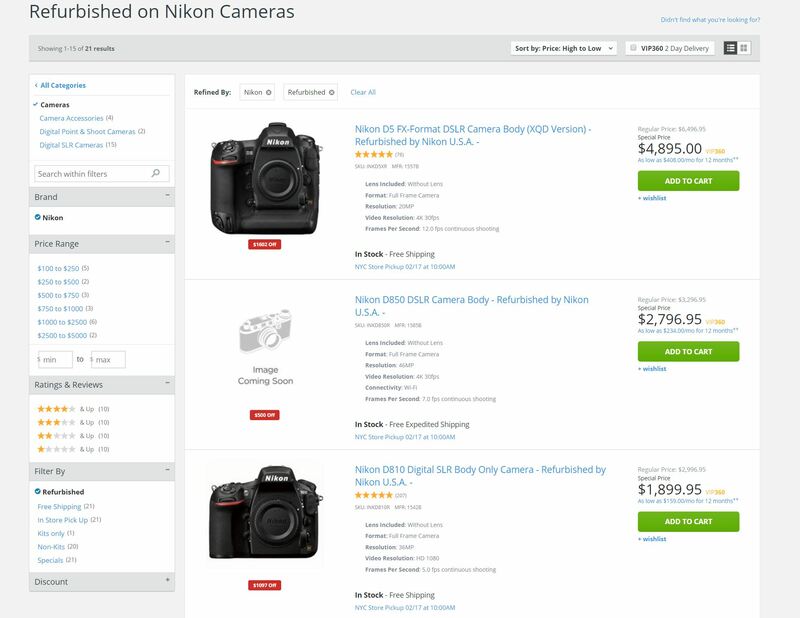 Author adminPosted on October 26, 2018 October 26, 2018 Categories Nikon D850 Deals & Cheapest PriceTags In Stock, Nikon D850 In Stock / Availability TrackerLeave a comment on Nikon D850 now In Stock at Adorama ! Nikon D850 Firmware Version 1.03 Now Released ! Nikon today has released a new firmware update for Nikon D850 (Currently in stock at Adorama). The firmware version is 1.03, you can download here. 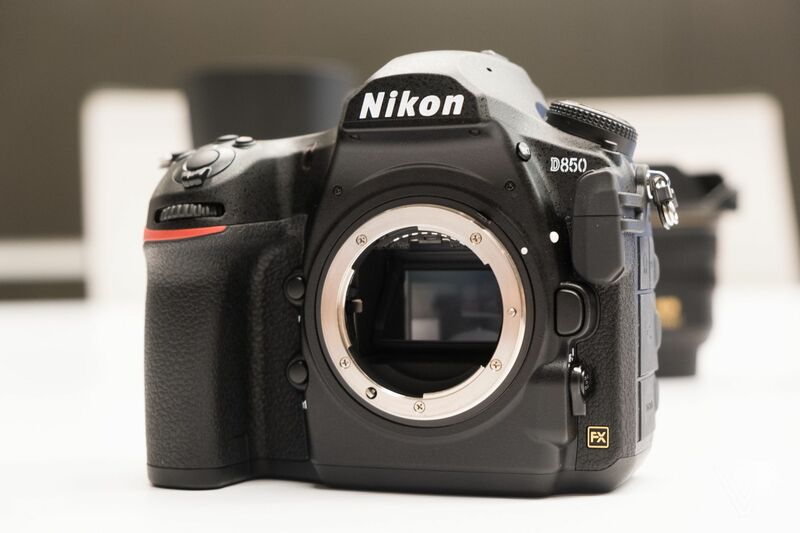 Author adminPosted on October 18, 2018 October 18, 2018 Categories Nikon D850 Deals & Cheapest PriceTags FirmwareLeave a comment on Nikon D850 Firmware Version 1.03 Now Released !